Directive 2006/123/EC on Services in the Internal Market ‘Services Directive’ aims to release the growth potential of services markets in Europe by removing legal and administrative barriers to trade in the services sector. The Directive strengthens the rights of recipients of services, which can be both consumers and businesses. It prohibits discriminatory conditions based on the nationality or residence of the service recipient, such as discriminatory tariffs. It also lays down a set of measures to promote a high quality of services and to enhance information and transparency relating to services providers and their services. The Services Directive was transposed into Irish law in November 2010 by Statutory Instrument number SI 533/2010. Due to the vast amount of services covered by the Services Directive, information is gathered on a case by case basis. If the information you require is not available on our website please contact us and we will gather the information you require free of charge. In this regard, ECC Ireland, with the assistance of Article 21 bodies in other Member States, provide, or provide a link to, general information about the rights of consumers in other Member States, and liaise with the relevant Article 21 bodies in the other Member State. As much consumer law in the Member States derives from EU legislation, there are likely to be common features to legislation across the EU. Any significant changes resulting from the implementation of the Services Directive in other Member States. 2. General information on the means of redress available in the case of a dispute between a provider and a recipient. This list is indicative and ECC Ireland will work with the Article 21 body responsible for business, as necessary, in compiling the above information, to ensure that it is as comprehensive as possible. 3. 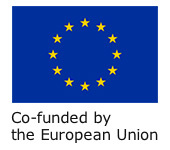 The contact details of associations or organisations, including the centres of the European Consumer Centres Network, from which providers or recipients may obtain practical assistance. 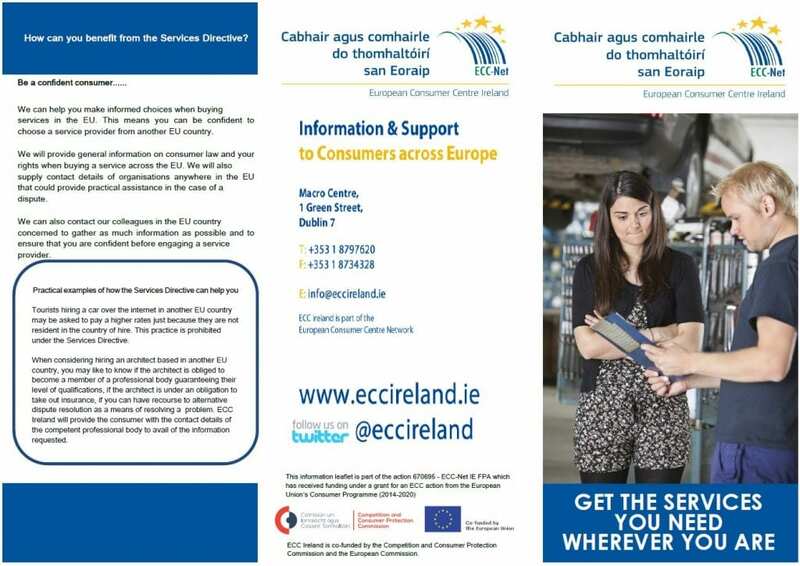 In all instances, ECC Ireland will ensure that information and assistance is provided in a clear and unambiguous manner, is easily accessible at a distance, including by electronic means. Article 20 obliges Member States to ensure that the recipients of services are not subjected to discriminatory conditions based either on their nationality or place of residence unless an objective justification can be provided. “general conditions of access to a service, which are made available to the public at large by the provider, do not contain discriminatory provisions relating to the nationality or place of residence of the recipient”. A tourist moving to the territory of another Member State, places himself in a situation very similar to that of recipients’ residents in the Member State where the service is provided, and therefore may feel discriminated if confronted with service or price differentiation. Similarly, a consumer does not expect to be faced with obstacles and geographic borders while trying to avail of services available online. However, Article 20.2 also provides that differences in the conditions of access can be applied “where those differences are directly justified by objective criteria”. As such, it needs to be noted, that not every difference in treatment will therefore necessarily constitute discrimination. Indeed, businesses may have valid reasons for applying different conditions and traders charging different prices to different consumers or refusing to trade may not necessarily be in breach of EU consumer law. They may provide this information on their website, in any documents supplied to customers or where the service is provided. • If carrying on a regulated profession, a reference to the professional rules in the country where they are established and how to access them. • Information on other activities carried out by the business that is directly linked to the service and measures taken to avoid conflict of interest. • Codes of conduct to which the business is subject and the websites from which these are available. Service providers must resolve complaints as quickly as possible, doing their best to find a satisfactory solution, and inform customers of any codes of conduct or dispute-resolution procedures they follow. Service providers must not discriminate on the grounds of nationality or place of residence. If you would like further clarification on any point above or any matter linked with accessing a service provider please feel free to contact us. • household support services (such as cleaning, gardening and private nannies). • services provided by notaries and bailiffs (appointed by an official act of government).